The Radius Global Partnership Program lets you leverage Radius Travel’s supplier relationships to deliver value for your company and receive a quality experience for your travelers. 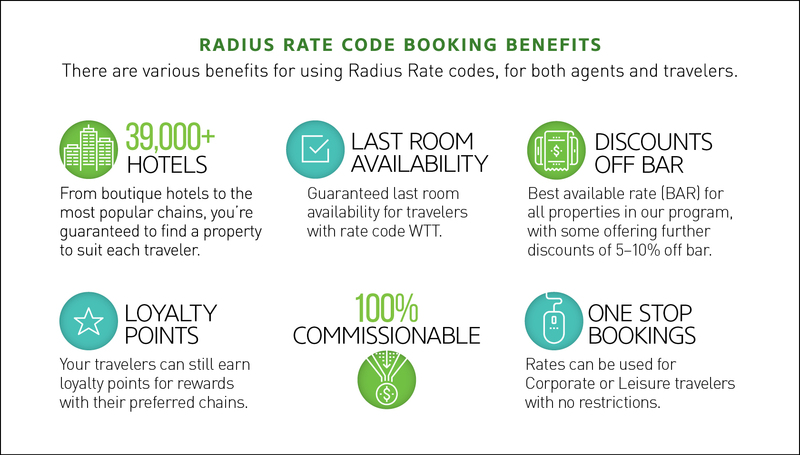 Gain immediate access to great rates at over 39,000 hotel properties across 61 countries, including specially negotiated rates from Radius hotel partners under the Radius rate codes. Radius Travel’s Global Partnership Program expanded in 2018 to include technology, product, and other travel related service providers. By extending the partnership program, Radius Travel can deliver the tools and services to meet the needs of our multinational clients globally. Since we’ve found increasing demand for innovative and competitive technologies, we are continually connecting with partners that will deliver a multitude of services and products to our network. Learn more about how Radius Travel’s Global Partnership Program can benefit your company. Contact us.